Now in its Second Edition! The new edition contains almost 100 pages of new content, a fresh (and gorgeous) redesign inside and out, and a real e-reader-compatible electronic format (as opposed to a PDF, which was totally cutting-edge electronic format back in 2008 ;). Read the story of the book, and more details about the contents, here! 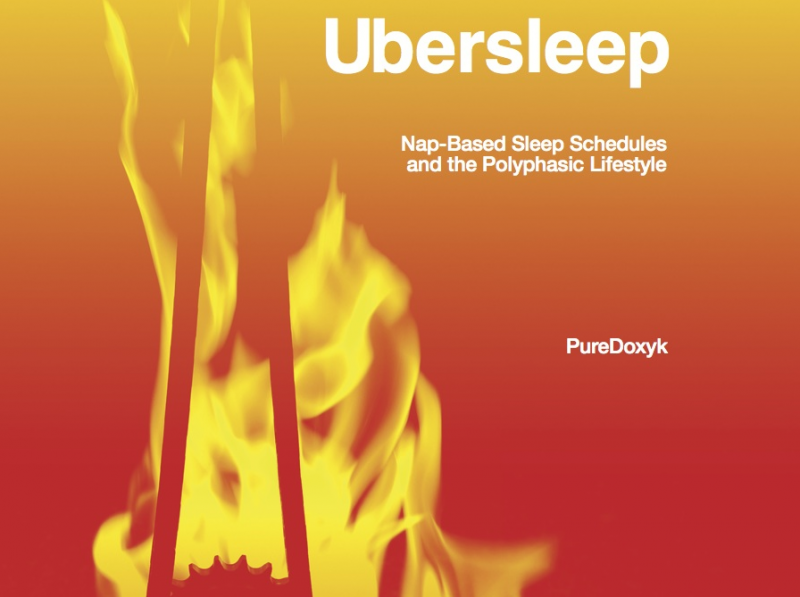 Would you like occasional updates on future Ubersleep-related happenings? Enter your email address below! You may contact the author through Mastodon (@[email protected]) or email (puredoxyk[at]gmail). Pingback: 2 techniques de repos qui peuvent accroître votre productivité de façon étonnante ! Pingback: The Sleep Process » Can Multiple Naps Replace Regular Sleep? Sign up for (occasional, useful) CCW announcements! Most people are bothered by those passages of Scripture they do not understand, but the passages that bother me are those I do understand. What’s so Dumb about Self-Help?